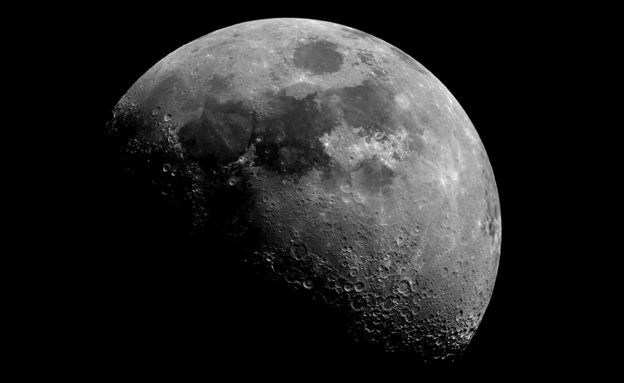 On the far side of the Moon lies the Maunder crater, named after two British astronomers – Annie and Walter Maunder. 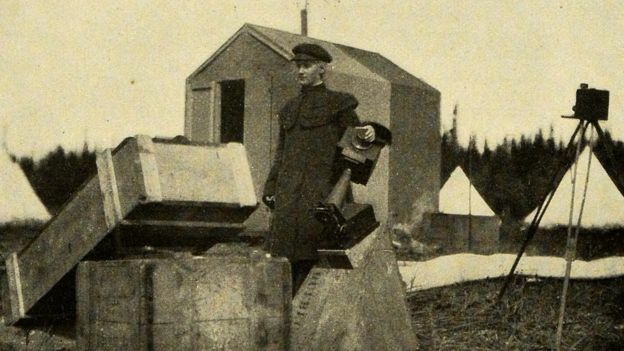 Annie worked alongside her husband at the end of the 19th Century, recording the dark spots that pepper the Sun. The name Maunder is still known in scientific circles, yet Annie has somehow slipped from history. 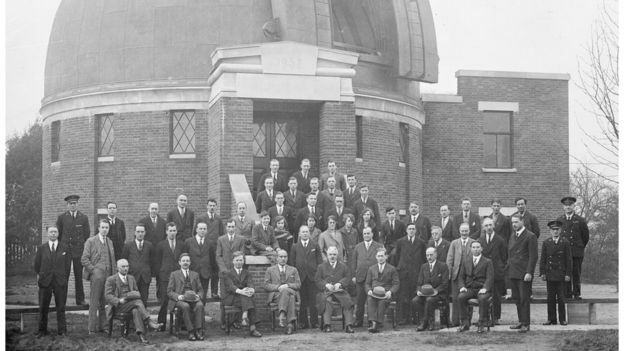 “I think the name Maunder is there and we have all rather forgotten that that’s two people,” says Dr Sue Bowler, editor of the Royal Astronomical Society magazine, Astronomy and Geophysics. Annie Scott Dill Russell was born in 1868 in Strabane, the daughter of a Reverend. 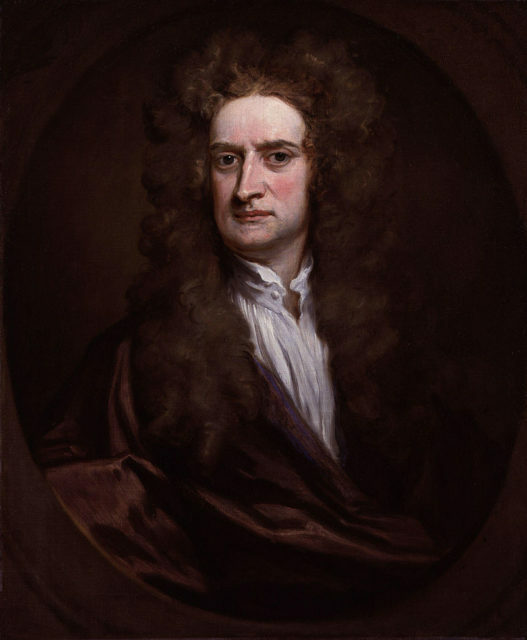 Clearly of fierce intelligence, she won a scholarship to Girton College, Cambridge, and became one of the first female scientists to work at the Royal Observatory, Greenwich. In the courtyard of the observatory, looking over the park, curator Dr Louise Devoy, tells me what little they know about her work. “She was one of what we now call the ‘lady computers’ employed in the early 1890s by the then Astronomer Royal, William Christie,” she explains. “I believe she came from Northern Ireland and she worked here for several years on very low pay just like many of the computers here, both male and female. Female scientists were hindered because of their gender until the 1920s and 30s, despite superb skills and experience, says Dr Devoy. 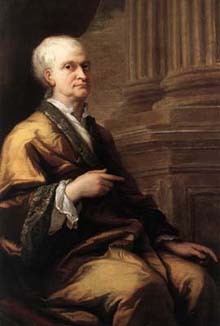 At Greenwich, employing women with a university education in mathematics was an audacious experiment. 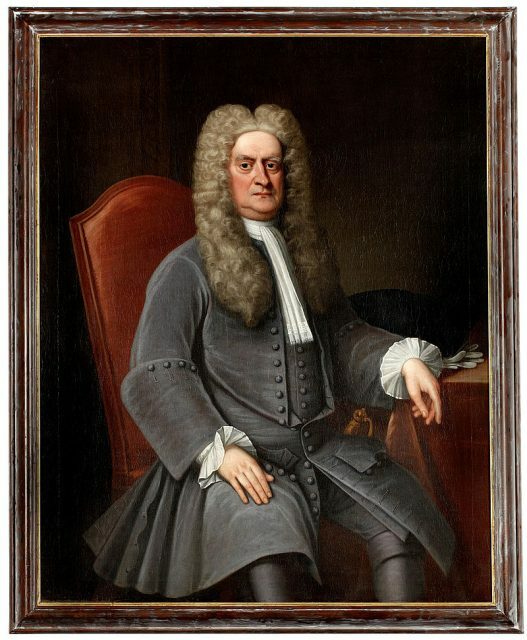 Women were only considered because the Astronomer Royal needed skilled assistants but could afford only lowly computers – historically, schoolboys on a wage of £4 per month. Maunder was offered a post as a lady computer, which meant a huge drop in pay for someone who had been working, briefly, as a school teacher. Letters show that she appealed for more money but was turned down. The lady computers would carry out routine calculations to turn raw observations into usable data. 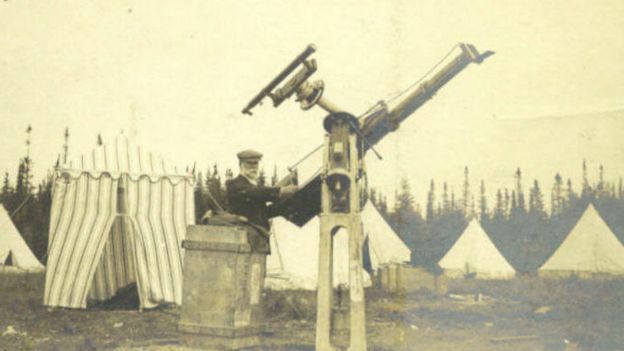 They were also trained to use telescopes. At times, this meant walking through Greenwich Park at night without a chaperone, an activity that was frowned on at the time. “In an age when many middle-class women were still chaperoned, the grit and devotion of these young women astronomers, clad in their clumsy long gowns as they worked at their telescopes or in the laboratories, were surely remarkable,” wrote the science historian and astronomer Mary T Brück. In 1892, the names of Annie Russell and fellow Greenwich astronomer Alice Everett were put forward to become fellows of the Royal Astronomical Society. However, they failed to gain enough of the popular vote in a secret ballot and were rejected. The RAS had long argued that since the pronoun “he” was used in the charter, women could not be admitted alongside men. Instead, Annie Russell and Alice Everett, who had studied together at Cambridge, joined the amateur British Astronomical Association (BAA). Alice Everett grew tired of the low pay and left Greenwich, eventually developing an interest in the new field of television. Annie Russell stayed on. “She was clearly very tough and wanted to follow her science,” says Dr Bowler. “She sat the [difficult] mathematical Tripos at a time when women couldn’t actually be awarded a degree and there were even protests at Cambridge against the whole idea of giving women degrees. Annie Russell married her colleague Edward Walter Maunder in 1895. Under civil service rules, as a married woman, she was forced to give up her paid position, bringing the age of lady computers to an end. “She did come back as a volunteer during the First World War and then she was taken on as a paid employee later in the 1920s,” says Dr Devoy. Annie worked alongside Walter taking photographs of the Sun, laying the groundwork for a modern understanding of solar activity. 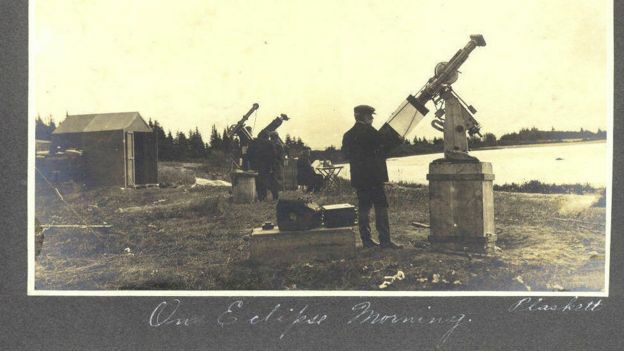 Annie Maunder went on many scientific expeditions to observe eclipses around the turn of the century, often as the only woman. She travelled to Lapland, India, Algiers, Mauritius and Labrador. She even designed her own camera to take spectacular pictures of the Sun, including the first photograph ever of streamers from the Sun’s outer layer, or corona. “She particularly caught an extremely long ray – a streak of the corona – coming out from the Sun, while it was eclipsed, that nobody had ever seen before – a feature of the corona that people just didn’t know about,” says Dr Bowler. “I’ve seen photos of her adjusting the instruments. She’s taking her photographs. She’s not at all a passenger. The conventions of the time meant that Annie’s photographs were published under her husband’s name and she could not speak at scientific meetings. However, she was eventually made a fellow of the Royal Society in 1916, 24 years after first being proposed. She was involved with promoting astronomy to a general audience as vice president of the BAA and edited the in-house journal. In 1908, the Maunders published the book, The Heavens and Their Story, which was aimed at popular science. The book was released under both their names, but her husband acknowledged in the preface that it was almost all her work. The Maunders are also well known for the butterfly diagram, which shows how the number of sunspots varies with time, and the Maunder Minimum, a period in the 17th Century when sunspots all but disappeared. Much of their work still holds true today. 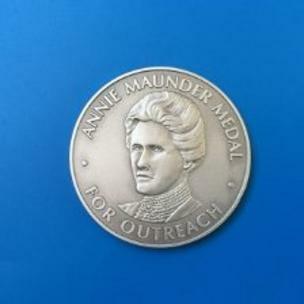 This year, Annie’s name is being remembered through the inaugural Annie Maunder Medal, to recognise public engagement in science. Annie Maunder died in 1947, long after her husband. On a leafy street near Clapham Common I find the Victorian terraced house where she spent her final years. 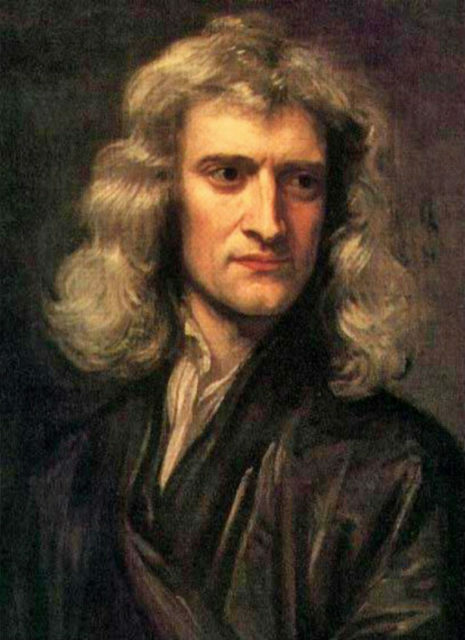 From the outside there is nothing to speak of the pioneering scientist. Yet, despite perhaps not getting the recognition she deserved in her lifetime, she clearly left her mark on science. 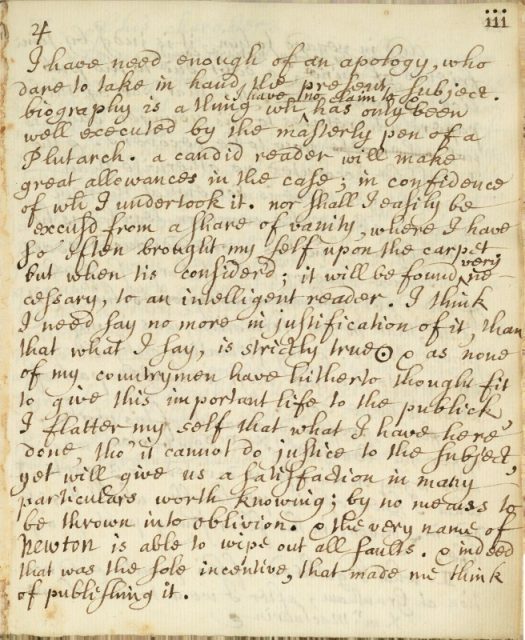 “From her letters which are in the Royal Astronomical Society archives she was a very strong-minded, very decided personality,” says Sue Bowler. “She didn’t mince her words. She’s really quite amusingly rude in some of her letters and very precise. “I really admire her – she’s one of the people I would definitely have at my dream dinner party – I think she would be extraordinarily interesting. The Royal Observatory Greenwich (ROG) is to start studying the sky again after a break of 60 years. 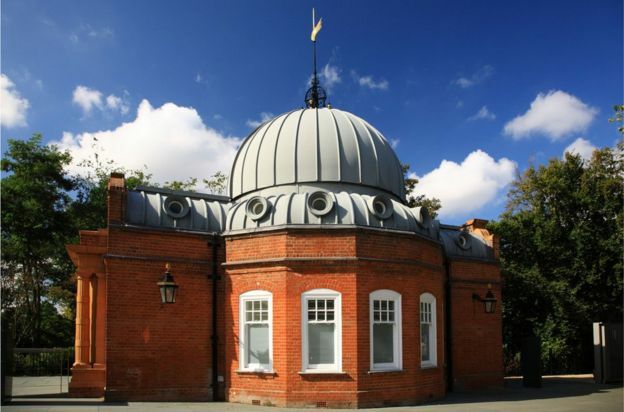 British astronomy’s historic home has installed new telescopes in its Grade II listed Altazimuth Pavilion, which has also undergone a restoration. 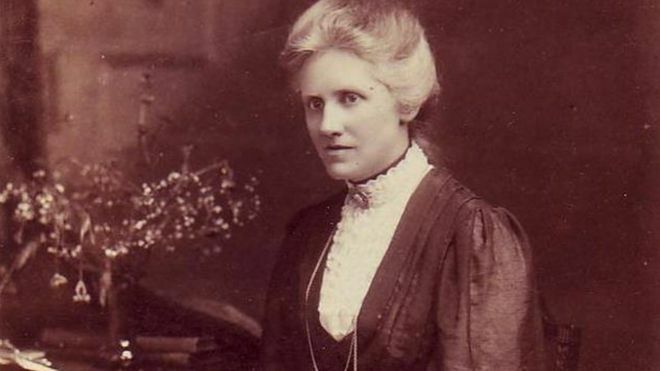 The new facility is to be named after Annie Maunder, one of the first female scientists to work at the ROG and who made key discoveries about the Sun. Professionals, amateurs and school children will use the instruments. The new telescope is named after a forgotten giant of UK astronomy, Annie Maunder, who had to battle the prejudice and conventions of her time (the end of the 19th and beginning of the 20th Century). The move should help highlight her contributions for a new generation. In addition, our cleaner air and better tech is making astronomy possible again in our cities. As urban centres have expanded, the artificial glow of buildings and street-lights – along with smog – has drowned out the faint objects in the night sky that astronomers want to study. So, in the last few decades, stargazing has moved out of town where you can get darker skies. But a combination of new technology and cleaner air means that astronomers will be able to use the Royal Observatory Greenwich again. Charles II founded the Greenwich site in 1675. Its purpose was to map the stars and compile tables that could then be used for navigation at sea. It was a working observatory until 1957, after which serious science retreated to the countryside to get away from urban smog and light pollution. 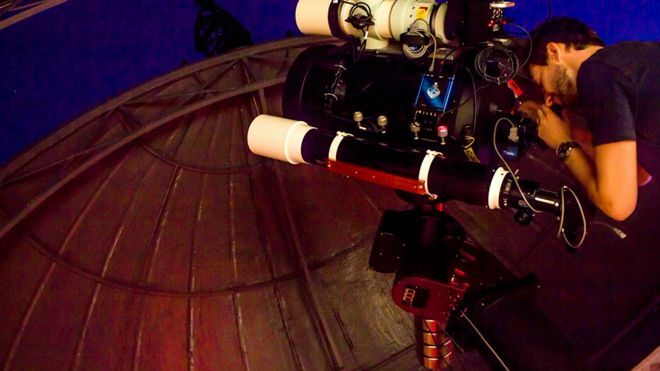 But with cleaner air and new technologies, it is now possible for telescopes to take very decent pictures again from the capital, says ROG astronomer Brendan Owens. “We can use what are called narrow-band filters to get around the light pollution, and then there are the new processing techniques. We can take very fast frame-rate snapshots and use only the steadiest shots to build the final result. 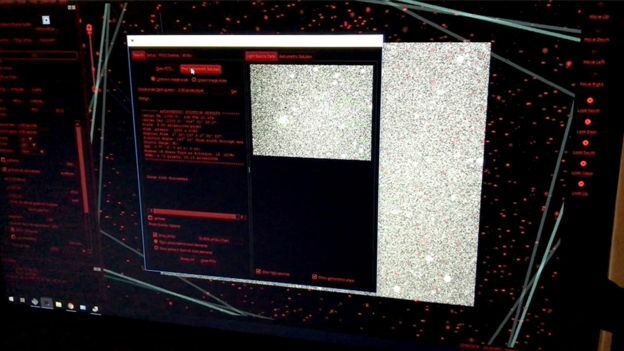 It’s known as ‘lucky dip imaging’,” he told BBC News. The Annie Maunder Astrographic Telescope (AMAT) is actually a four-in-one instrument. It comprises three smaller refractors around a top-end, 14-inch (35.5cm) aperture Schmidt-Cassegrain telescope. 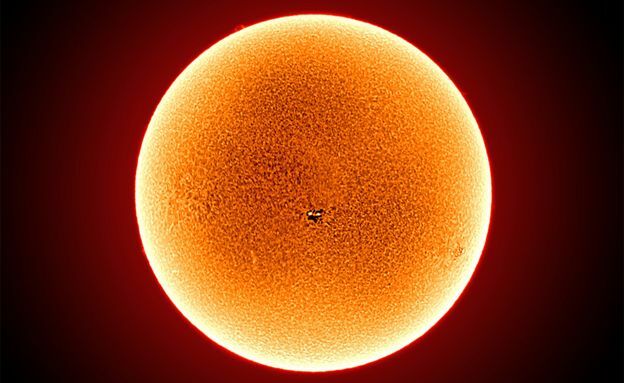 Users will be able to study the Sun and the planets in our Solar System, but also look beyond to more distant stars and planetary nebulae (great clouds of gas and dust). 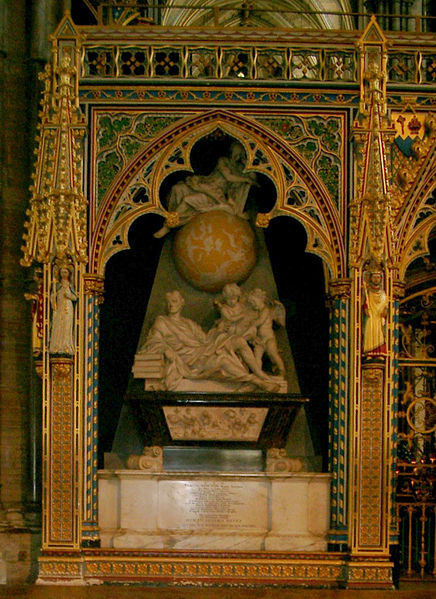 For the system to be used to look at the Sun is particularly apt in the context of Annie Maunder. One of the “forgotten giants” of British astronomy, she got a job at Greenwich in 1891 working as a “lady computer”, doing supporting calculations for male scientists. But she became an adept observer in her own right, and with her husband, Walter, broke new ground in our understanding of how the Sun goes through its cycles of activity. Given the times, all the credit went to Walter. That has changed in recent years with reappraisals finally – and properly – recognising her enormous contributions. “She remained on staff here in Greenwich until 1895 when she had to resign because, as per civil service rules back then, she couldn’t be married,” explained Dr Louise Devoy, the Curator of ROG. 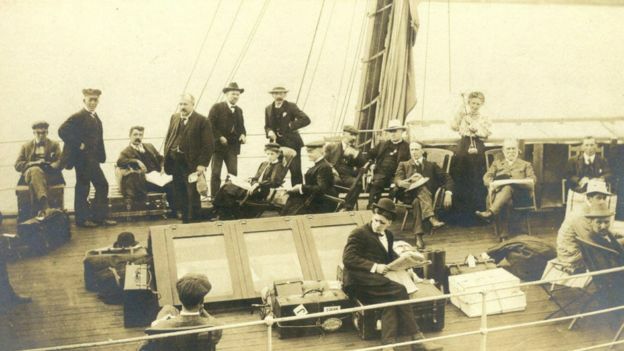 “But she remained very active, particularly with the British Astronomical Association, and indeed she came back to Greenwich in WW1 as a volunteer because of the shortage of staff when all the men joined up. The new installation comes thanks to a successful appeal for funds. ROG museum members, private donors and the public gave £150,000 towards the project. The money has finally enabled proper restoration work to be completed on the Altazimuth Pavilion, which was in urgent need of repair. “It’s a beautiful Victorian building that suffered major bomb damage. Half the building was obliterated during WWII,” said Brendan Owens. Mr Owens said it would take a while to get the new facility running at top speed. Conversations are being held now with universities to see who would like to make use of Greenwich in their studies. As ever, the ROG wants the public involved as much as possible. Images taken by the AMAT will be streamed online, and content shared with schools through the Peter Harrison Planetarium. There will be workshops at the observatory as well. The ground floor of the pavilion will have an exhibition space, with a section dedicated to telling the story of Annie Maunder. 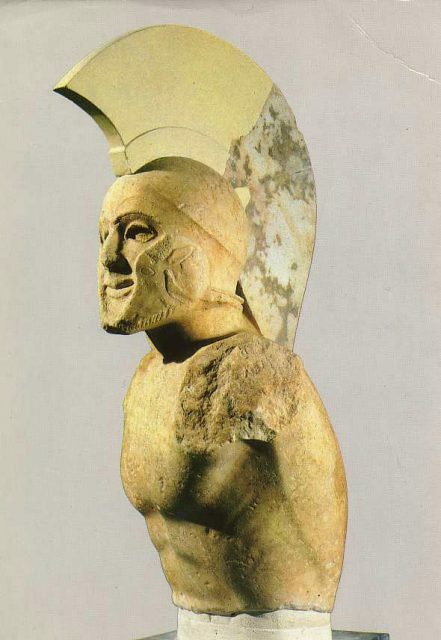 According to one of the greatest Greek historians, Lucius Mestrius Plutarchus, more commonly referred to as Plutarch, when anyone would question the city’s lack of fortification and dared to ask the king “where is your wall,” he would simply point in silence towards his Spartans as an answer. 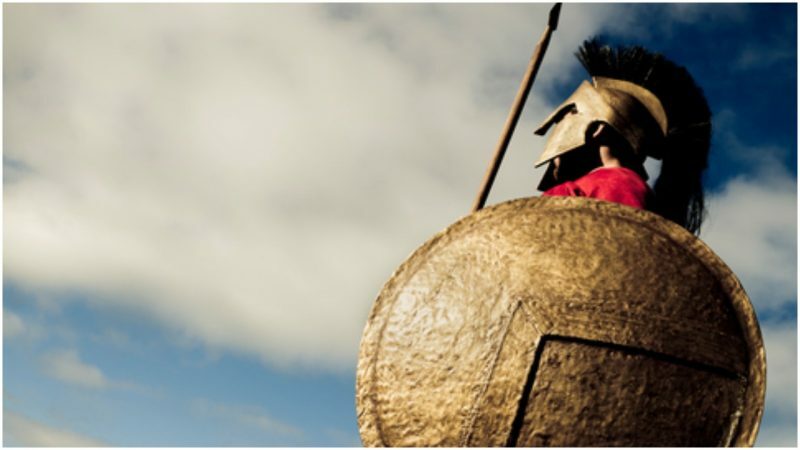 The army of Sparta is recognized as the most formidable in the history of man, and according to Plutarch’s book On Sparta, their men were trained to be tougher than a brick indeed. Every male child belonged to and was raised by the state. He was put through a vigorous training unlike any other child in history and endured such harsh education that the word “spartan” literally became an adjective for “showing, or characterized by, austerity or a lack of comfort or luxury,” a synonym for an austere way of living. If you were born a Spartan, you were born a soldier, and there was no way around it. Men were not merchants, nor writers or poets, nor farmers. They were soldiers first and foremost and everything else was just a side job, and all those other things a man could do were only trivial things he could do in his free time, which was almost nonexistent. Every healthy baby was enlisted as a soldier from birth and his education made sure he stayed as such for life. Let us assume that it is the year 398 B.C., the Peloponnesian War (431–404) has just ended and Sparta, exiting as the victor against their enemies, is probably at its strongest point under the rule of King Agesilaus II. It’s been almost 500 years since Lycurgus, the legendary law-giver, reformed the state with his military laws and made Sparta, Spartan. Now let’s say a baby is born, a good and healthy baby boy. He’s been checked by the state doctors. His fate will be nothing alike the infant next door, who unfortunately was born with a sign of birth defect so his father had to take him to the Apothetae, a pit down the hillside, where, defenseless, the baby was left to starve to death under the scorching sun. According to Plutarch, the practice was to toss every ill-born spartan baby boy from Mount Taygetus into the abyss. However, judged from a practical point of view, this is probably a myth developed over the years and it was the pit nearby for these poor babies rather than far up to the mountain. So our baby, named Demetrius by his parents, meaning Lover of Earth in Latin, has passed his first test. He is now put into a bucket full of wine and washed with it instead of water so he can be tested again to see if he is worthy enough to be raised. If he breaks into a crying tantrum or exhibits signs of any kind that he rejects this experience, he is regarded as ill with some hidden, incurable disease such as epilepsy, or at the very least deemed unfit and unworthy to be raised and sent off to slavery and a life as a helot (slave). Luckily, our Demetrius seems to enjoy the wine-bathing, and now will continue to be raised by his mother until the age of seven, but never cuddled. He will be left alone in darkness on purpose so he would never fear darkness nor solitude. But he is lucky, for more than a half of the babies never even make it this far. Everything goes as it should and Demetrius, alive and healthy, is about to celebrate his seventh birthday. And as a present, just as any other seven-year-old in Sparta, he is removed from his parents’ home and sent to the military barracks so he can start his education, the Agoge, which meant to mold him and all other young boys into skilled warriors, and the best possible versions of themselves. Here, under a strict regime and tutored by his “Warden,” our boy begins to learn the rules of combat. By engaging in stealth practices, athletic exercises and hunting in the nearby woods, he is preparing his body for warfare, whilst all the time not neglecting his scholastic education and learning everything about music, math, and philosophy. While these were the things he could never become to do full time, the knowledge of them is meant to give him an advantage in combat and determent the outcome of any battle. And it isn’t easy, not for him nor any other kid for that matter. By the age of 12, every participant in the agoge is stripped of all his clothes and common luxuries. Barefoot and almost naked he was left to sleep out in the open, and fed so little so he can only survive the day, but enough to know what is good and feel the need to hunt for himself in the evening, steal it, or fight for it with the other boys and survive. However, while they were left and encouraged to scrounge for food in any way, they were severely punished, whipped and beaten almost to death if they were caught for stealing or left to their own demise and the mercy of the boy whose food was stolen. On special occasions, they were even dragged to a pit and with cheese placed in the middle, and ordered to fight for it. Agility, strength, and perseverance aside, to test their academic advancement and ability to make quick but well thought out decisions, every night when the supper was over, a warden (their teacher) will sit among his students and ask a tricky question. Kind of like today’s quiz shows, when contestants are called to buzz first and give an answer. The questions ranged from “Who is the strongest boy in this group” to “Why are you left out in the open without clothes and hungry” or even, “Why is knowing math important to us?” Their answer had to be reasoned, swift, sharp and well thought-out, even witty at times, or, as stated by Plutarch, a boy was to be bit on the thumb by another boy of his choosing. And for those who failed to answer whatsoever, a whip to the legs, so he can not hunt or steal for days. Our beloved Demetrius learns this the hard way. If this was not enough, for them to be shaped as true “Spartans,” at the age of 20 the boys had to pass a rigorous test, and graduate as full citizens and real soldiers. 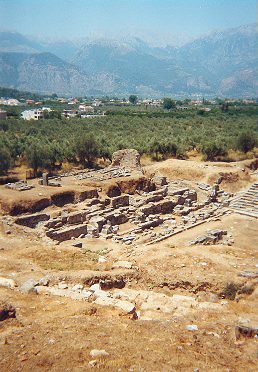 Every year in Sparta a special festival called Diamastigosis was held. Among the many things, the most anticipated event of the festival was also the most brutal one, and this activity was the boys’ test of manhood. In a public manner, in front of every single Spartan and guests from abroad, all who made it this far were taken out and whipped until their conscience serves them. It seems like torture, but for Spartans it was the greatest honor of all, and all boys were eager to volunteer and withstand the pain and abuse longer than everyone else. These boys were trained to face abuse and never surrender under any circumstances. They weren’t just trained to be an unmovable brick in the Spartan wall, they were trained to be the unconquerable wall itself. They were trained to be Sparta! All who cried for mercy under the whip for were labeled as perioeci, a middle class. 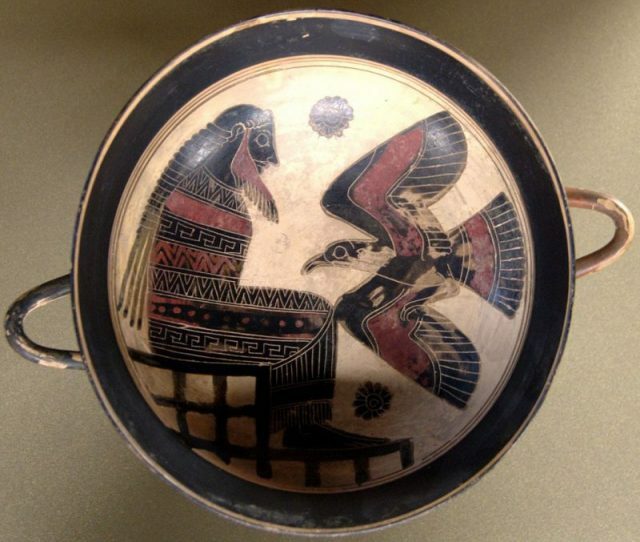 They were still soldiers of Sparta, but a low life who later struggled to find a mate and form a family of their own. As for all the others, they were awarded aristocratic citizenship and continued to live their lives as soldiers within the barracks until their 30s, when they were deemed ready form a family and produce Spartans of their own. As for Demetrius, well he learns to endure the pain, never shed a single tear or a cry for help. He lives on to fight the Battle of Leuctra against Thebes in 371 B.C. under King Agesilaus II. He lives to have the honor to be pointed at by his king as the wall of Sparta. He survives the battle and outlives his king as well, and lives to reach the age of 60 when he retires from any military activity, as Spartan Laws clearly stated. He has a wife and family of his own, but never a Spartan boy. He has two little daughters, who in the same manner as the boys when they’ve reached the age of seven are taken from his home and sent to school to learn a few things. To fight, wrestle, and be proficient gymnasts, javelin throwers, and endure physical pain. For only a Spartan mother could bear a strong Spartan child later on. Our Demetrius, who we only imagined so we can tell a tale of Sparta and how it came to be feared for centuries, dies right after his daughters are taken away from him, but never buried under a tombstone. For that was an honor reserved only for those who died in combat. Despite the far-reaching consequences of Johannes Gutenberg’s printing press, much about the man remains a mystery, buried deep beneath layers of Mainz history. The German city of Mainz lies on the banks of the River Rhine. It is most notable for its wine, its cathedral and for being the home of Johannes Gutenberg, who introduced the printing press to Europe. Although these things may seem unconnected at first, here they overlap, merging and influencing one another. The three elements converge on market days, when local producers and winemakers sell their goods in the main square surrounding the sprawling St Martin’s Cathedral. Diagonally opposite is the Gutenberg Museum, named after the city’s most famous inhabitant, who was born in Mainz around 1399 and died here 550 years ago in 1468. It was Gutenberg who invented Europe’s first movable metal type printing press, which started the printing revolution and marks the turning point from medieval times to modernity in the Western world. Although the Chinese were using woodblock printing many centuries earlier, with a complete printed book, made in 868, found in a cave in north-west China, movable type printing never became very popular in the East due to the importance of calligraphy, the complexity of hand-written Chinese and the large number of characters. Gutenberg’s press, however, was well suited to the European writing system, and its development was heavily influenced by the area from which it came. In the Middle Ages, Mainz was one of the most important cathedral cities in the Holy Roman Empire, in which the Church and the archbishop of Mainz were the centre of influence and political power. Gutenberg, as an educated and entrepreneurial patrician, would have recognised the Church’s need to update the method of replicating manuscripts, which were hand-copied by monks. This was an incredibly slow and laborious process; one that could not keep up with the growing demand for books at the time. In his book, Revolutions in Communication: Media History from Gutenberg to the Digital Age, Dr Bill Kovarik, professor of communication at Radford University in the US state of Virginia, describes this capacity in terms of ‘monk power’, where ‘one monk’ equals a day’s work – about one page – for a manuscript copier. Gutenberg’s press amplified the power of a monk by 200 times. At the Gutenberg Museum, I watched a demonstration of a page being printed on a replica of the press. First, a metal alloy was heated and poured into a matrix (a mould used to cast a letter). Once the alloy cooled, the small metal letters were arranged into words and sentences in a form and inked. Finally, paper was placed on top of the form and a heavy plate was pressed upon it, similar to how a wine press works. This is no coincidence: Gutenberg’s printing press is thought to be a modification of the wine press. Since the Romans introduced winemaking to the region, the area around Mainz has been one of Germany’s main wine-producing areas, with famous grape varieties such as riesling, dornfelder and silvaner. Writing is often considered the first communication revolution, while Gutenberg’s printing press brought with it the revolution of mass communication. After about 15 years of development – and huge capital investment – Gutenberg printed his first Bible in 1455. 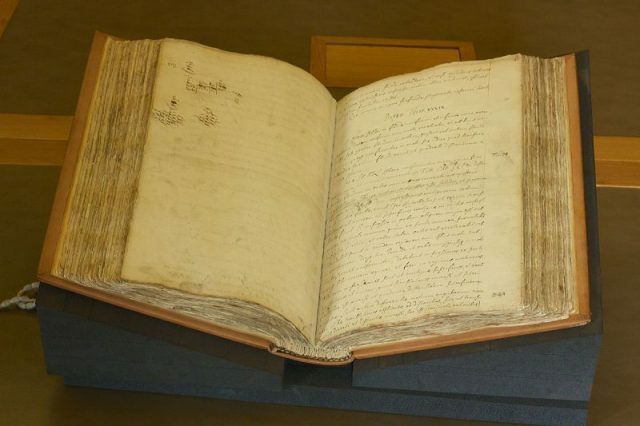 Of his original print run of about 150 to 180 Bibles, only 48 remain in the world today. The Gutenberg Museum has two on display. Both are slightly different, because after printing, the pages would be taken to a rubricator (specialised scriber) who would paint in certain letters according to the tastes of their customers. Gutenberg’s Bibles turned out to be bestsellers. At first, the Church welcomed the new availability of printed bibles and other religious texts. 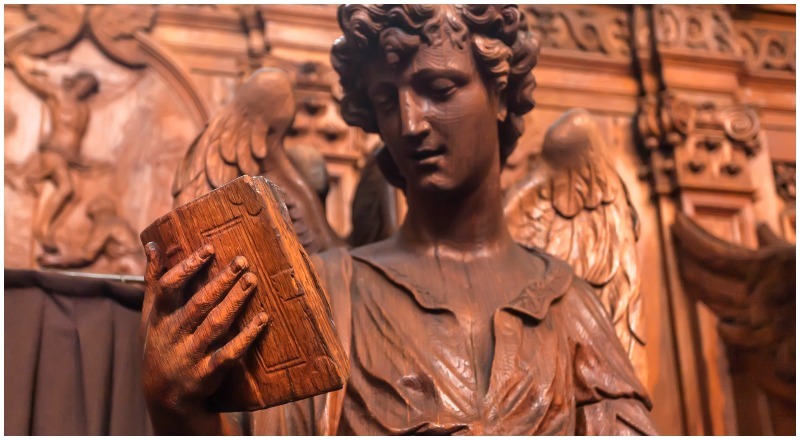 Printing enabled the Church to spread the Christian message and raise cash in the form of ‘indulgences’ – printed documents that forgave people’s sins. However, the disruptive power of the printed word soon became apparent. With the rapid spread of printing technology – by the 1470s, every European city had printing companies, and by the 1500s, an estimated four million books had been printed and sold — came the spread of new and often contradictory ideas, such as Martin Luther’s 95 Theses, in which he criticised the Church’s sale of indulgences. Luther is said to have nailed his text to a Wittenberg church door on 31 October 1517. Within a few years 300,000 copies of it had been printed and circulated, leading to the Reformation and a permanent split in the Church. But despite the far-reaching consequences of Gutenburg’s press, much about the man remains a mystery, buried deep beneath layers of Mainz history. A plaque marks the place where he was born on corner of Christofsstraße, but the original house is long gone. Today, a modern building stands there, occupied by a pharmacy. Another plaque outside the nearby St Christoph’s Church marks the place where he was likely baptised. The church was bombed during World War II and remains in ruins as a war memorial, although the original baptismal font from Gutenberg’s time is still intact. The graveyard where Gutenberg was buried has been paved over, and even though there are statues of him are everywhere in the city, we don’t know what he looked like. He is commonly depicted with a beard, but it is unlikely that he had one. Gutenberg was a patrician and during his time, according to my tour guide Johanna Hein, only pilgrims and Jews wore beards. In fact, the man we all know as Johannes Gutenberg was actually born Johannes Gensfleisch (which translates to ‘goose meat’). 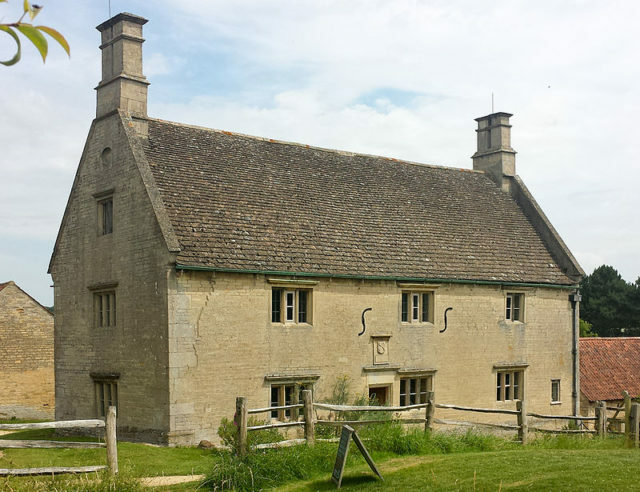 If it weren’t for the 14th-Century trend of people renaming themselves after their houses, we would perhaps be referring to his invention as the Gensfleisch Press today. But although the traces of the man have all but disappeared from the city, his influence can still be seen everywhere: a poster advertising cosmetics; a woman reading a newspaper in a cafe; the menu on a restaurant table. Furthermore, our current communications revolution, made possible by the internet, digital technology and social media, is a progression of what started with Gutenberg. “Every time the cost of media declines rapidly, you enable more people to speak out, and you have a greater diversity of voices,” said Dr Kovarik, explaining that this impacts the distribution of power in society, and sparks social change. Paradoxically, however, our digital revolution can also be seen as a return to the pre-print era, according to a theory called The Gutenberg Parenthesis by Dr Thomas Pettitt, affiliate research professor at the University of Southern Denmark, who argues that there are parallels between the pre-print age and our own internet age. “Print conferred stability on discourse; works in books were authorities; news in print was true. In the absence of print, news has lost its authenticity, and, as in the Middle Ages, is synonymous with rumour. We are now in a post-news phase, where purveyors of fake news can accuse the legitimate press of purveying fake news and get away with it,” Dr Pettitt said. Whatever the impact of the 21st-Century digital revolution, just like the printing revolution before it, the effects will reverberate for hundreds of years to come. The Central Asian nation of Kazakhstan is changing its alphabet from Cyrillic script to the Latin-based style favoured by the West. What are the economics of such a change? The change, announced on a blustery Tuesday morning in mid-February, was small but significant – and it elicited a big response. “This one is more beautiful!” Asset Kaipiyev exclaims in surprise. The co-founder of a small restaurant in Kazakhstan’s capital Astana, Kaipiyev had just been shown the latest version of the new alphabet, approved by President Nursultan Nazarbayev earlier in the day. The government signed off on a new alphabet, based on a Latin script instead of Kazakhstan’s current use of Cyrillic, in October. But it has faced vocal criticism from the population – a rare occurrence in this nominally democratic country ruled by Nazarbayev’s iron fist for almost three decades. In this first version of the new alphabet,apostrophes were used to depict sounds specific to the Kazakh tongue, prompting critics to call it “ugly”. The second variation, which Kaipiyev liked better, makes use of acute accents above the extra letters. So, for example, the Republic of Kazakhstan, which would in the first version have been Qazaqstan Respy’bli’kasy, is now Qazaqstan Respýblıkasy, removing the apostrophes. Then it hit him. His restaurant, which opened in December, is called Sa’biz –spelt using the first version of the alphabet. All his marketing materials, the labelling on napkin holders and menus, and even the massive sign outside the building will have to be replaced. In his attempt to get ahead by launching in the new alphabet, Kaipiyev had not predicted that the government would revise it. He thinks it will cost about $3,000 to change the spelling of the name on everything to the new version, Sábiz. What Kaipiyev and other small business owners are going through will be happening at a larger scale as the government aims to transition fully to the Latin-based script by 2025. It’s an ambitious goal in a nation where the majority of the population are more fluent in Russian than in Kazakh. According to the 2016 census, ethnic Kazakhs make up about two-thirds of the population, while ethnic Russians are about 20%. But years under Soviet rule mean Russian is spoken by nearly everyone in country – roughly 94% of the more than 18 million citizens are fluent in it. Kazakh fluency is at second place, at 74%. Frequency of usage depends on the environment. In the Russian-influenced northern provinces and city centres, like Almaty and the capital Astana, Russian is used both on the street and in state offices. But in the south and west, Kazakh is more regularly used. That the Kazakh language is currently written in Cyrillic – and the persistent use of Russian in elite circles – is a legacy of the Soviet Union’s rule, one that some of its neighbouring countries sought to shed right after the union’s collapse in 1991. Azerbaijan, for example, started introducing textbooks in Latin script the next year, while Turkmenistan followed suit in 1993. Kazakhstan is making the transition almost three decades on, in a different economic environment that makes the costs hard to predict. So far, state media has reported that the government’s total budget for the seven-year transition – which has been divided into three stages – will amount to roughly 218 billion tenge ($664m). About 90% of that amount is going to education programmes the publication of textbooks for education programmes in the new Latin script, including for literature classes. According to state news media, the government has allocated roughly 300 million tenge each ($922,000) for 2018 and 2019; this money will go towards education in primary and secondary schools, says Eldar Madumarov, an economist and professor at KIMEP University in Almaty. Meanwhile, the translation of teaching kits and textbooks will begin this year, according to state media, while teachers nationwide will start teaching pre-school and first grade students the new alphabet in 2020, adding a grade each year until 2025, when all levels from pre-school to the final grade will have fully transitioned. There is also budget for developing a language converter IT program to recode Cyrillic script into Latin in the third quarter of 2018 (approximately $166,000), improving the qualifications of secondary school teachers ($33.2m), and hiring influential bloggers to push forward an awareness campaign for the final stage of the transition, beginning in 2024 ($1.4 million). The piecemeal reporting of how the transition will happen makes one economist worried about the unexpected costs. In late February, the extent of the issue was on display when Nazarbayev – who is comfortably bilingual – ordered that all cabinet meetings be held in Kazakh. Since Russian has long been the lingua franca of state affairs, government officials’ command of Russian often surpasses their Kazakh. One meeting was broadcast over TV, and it showed officials struggling to express themselves. Some even opted to wear translation headsets. There’s also the cost of changing the language of government affairs. IDs, passports, printed laws and regulations – all the paperwork that governments need in order to function will have to be translated. While this has been reportedly part of the second and final stage of the transition, there has been no listed amount for this expense, says Kassymkhan Kapparov, director of the Almaty-based Bureau for Economic Research of Kazakhstan. But he remains most curious about the third stage, which reportedly begins in 2024 and includes the translation of internal business documents within the central and local state bodies, while state media would also need to implement the new alphabet. 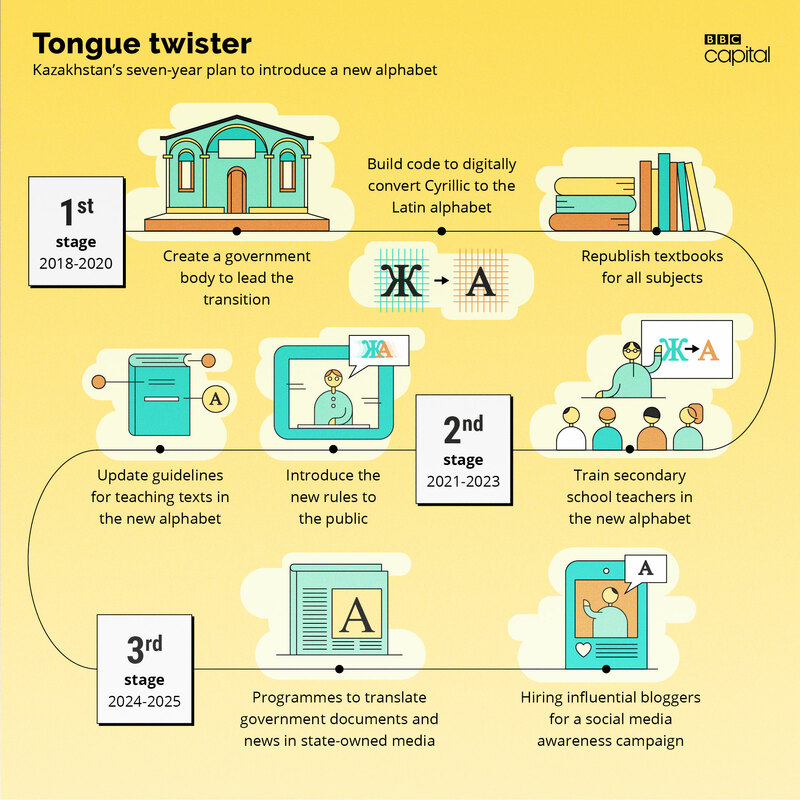 Kapparov also worries that people, especially the older generation, would struggle to read and write in the new Latin script, so communications within the public sector may have to be in several languages at once. When it comes to direct costs, Kapparov is confident that his estimates – which he did in 2007 after the first feasibility study came out and again in January of this year when budgetary information started trickling out via state media – would not be more than $1bn for the entire transition. But the director of Kazakhstan’s Centre for Macroeconomic Research, Olzhas Khudaibergenov, believes the whole transition will cost far less than Kapparov’s estimate. He thinks all paper documents costs will just be folded into the government’s usual budget. “Real expenses will be only for informational and explanatory programmes to support the transition. Kapparov says this alphabet transition is “hard to sell” for the government, and there won’t be a direct return on investment. Rather, it “should be seen as more of a social and cultural development programme of the government,” he says. KIMEP University professor Madumarov believes the economy could be slowed by political ramifications of the language change. While some have speculated that Nazarbayev’s decision to switch might signal cooling ties with Russia, the gradual shift to a Latin-script language could also weaken trade relations with post-Soviet countries. Currently, up to 10% of the current trade flow between Russia, Kazakhstan and Ukraine can be explained by the convenience of a shared language, which in some ways translates to a shared culture and mentality, says Madumarov. This also means that Russian-speaking Kazakhs have more economic mobility between countries. Meanwhile, Azerbaijan and Georgia, nations that are not as fluent in Russian, have weaker trade links. Inversely, he says that the benefits to having a Latin-script alphabet means being better integrated with most of the Western world. As an example, Turkey, which switched to a Latin-based alphabet from its former Arabic script in 1928, has managed to form alliances with the European Union and was in negotiations – up until recently, when the government moved towards a more autocratic direction – to be a member. Turkey has long been used as an example of how modernisation of the language and legal systems led to its position today as an economic power, says Barbara Kellner-Heinkele, a Berlin-based expert in Turkic languages and Turkic history. But she says this progress is due more to growing literacy and republic founder Ataturk’s firm grip over every aspect of society. Fazylzhanova Muratkyzy, a linguist who worked with the government to create the new alphabet, echoes this assessment, and says many Kazakhs associate the Cyrillic-based script to Soviet control. Young people, especially, are welcoming the change. Based on surveys that her linguistic institute have conducted over the last decade, Muratkyzy says that 47% of the younger generation – aged 18 to 25 – supported a switch to a Latin-based script in 2007; that number jumped to 80% in 2016. Munalbayeva Daurenbekovna, head of the National Academic Library, has been holding open classes for librarians and other interested parties to help them get used to the Latin script. She is optimistic the that young people especially will have no trouble learning the new script. For Kaipiyev, the owner of Sa’biz, moving away from the Cyrillic script – no matter how tedious it is for him as a small business owner – is something he fully supports. “We want to connect with Europe and America, and with other foreign countries. This will help us turn the page to the next chapter,” he says. As for changing his restaurant material to reflect the latest version of the alphabet? Additional reporting by Makhabbat Kozhabergenova. Additional research by Miriam Quick.